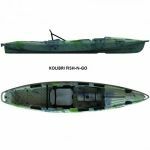 The 3.5 hp and 2.5 hp are fully equipped with features essential for portable outboards such as the throttle grip on the steering handle, 360 degree full pivot steering, and an easy-to-use carrying handle. 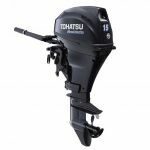 Ohatsu's first priority when developing these engines was to make them lightweight and compact without compromising reliability or the quality performance associated with the Tohatsu brand name. Our first priority when developing these engines was to make them lightweight and compact without compromising reliability or the quality performance associated with the Tohatsu brand name. We have maintained the durable standard features that Tohatsu owners appreciate while making fuel-efficient 4-strokes that are easy to transport.